That would not be possible @Arist0v. What you can do though is to configure it on one machine first and save the configuration file for that setup. Do the same thing while connected to the other machine. 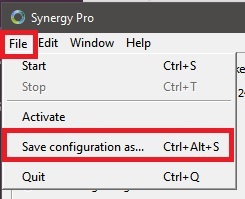 Every time you need to switch setup, you can just select which configuration file to use by selecting the radio button to use existing configuration.